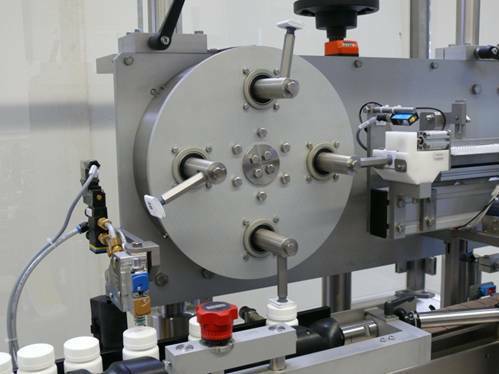 Our leaflet applicators were designed for customers who want automatic solutions for applying booklets or leaflets to bottles. 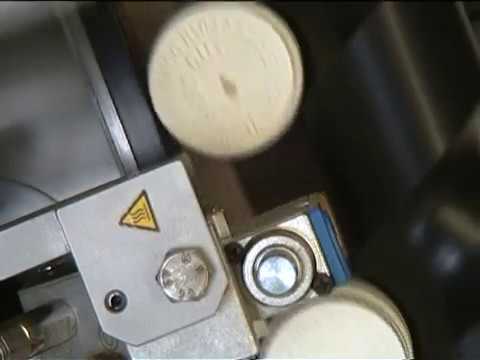 We have a range of automatic leaflet pasting machines glued onto the cap of the bottle or onto the side of the bottle. Our topserter, outserter machines are continuous motion machines enabling an excellent output of 150 to 240 bottles per minute. The bottles can be up to 70 mm of diameter and up to 200 mm of height. Other dimensions can be discussed upon request. The topserts (leaflets) are flat folded and can have a size of up to 45 x 45 mm.